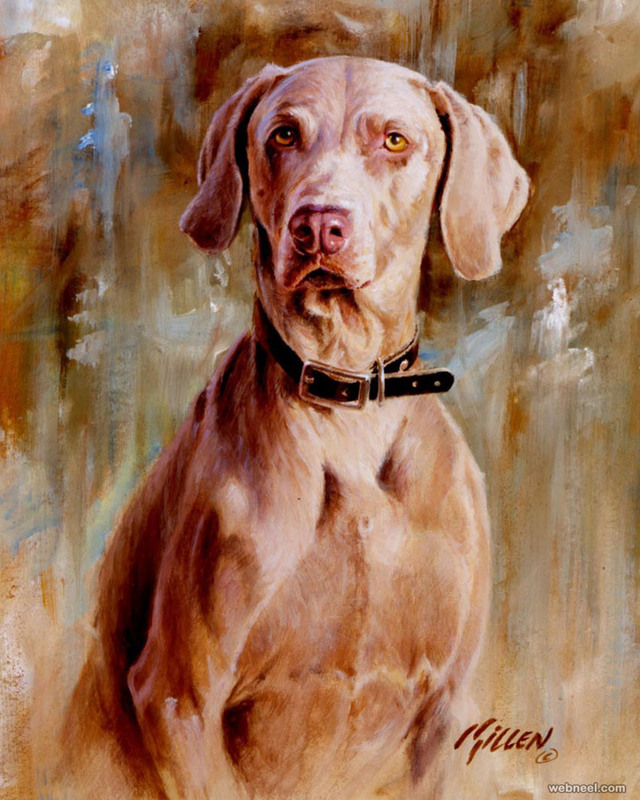 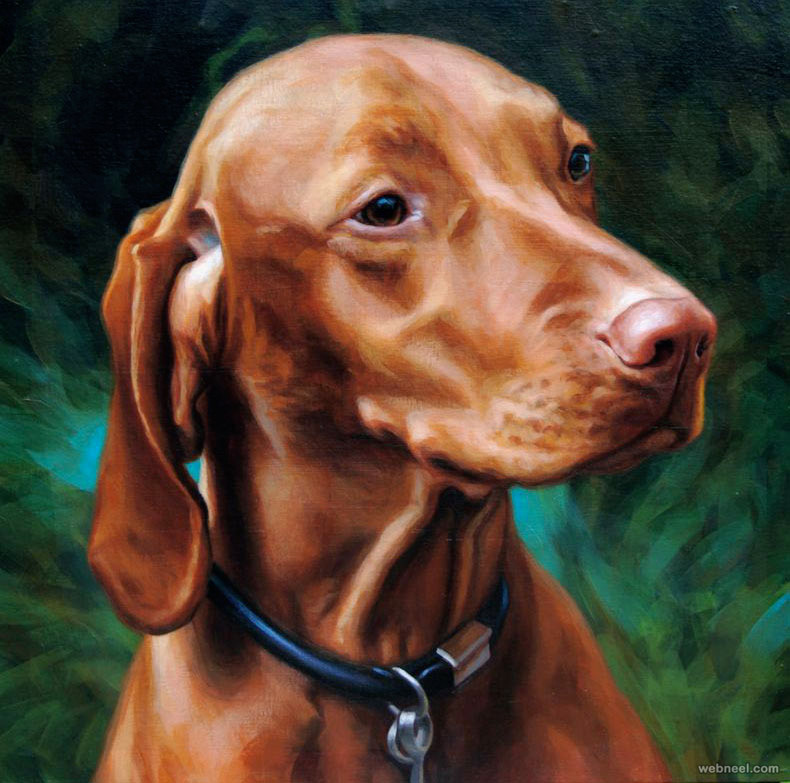 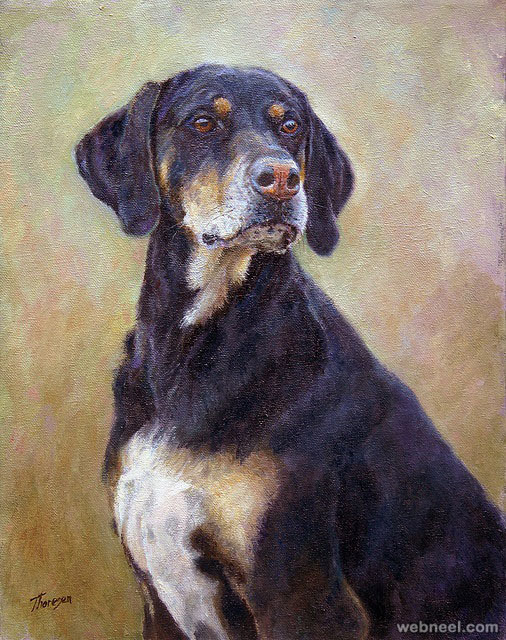 Dog Paintings: Dog's are man's best friends and it's always wonderful to have your favourite pet on canvas as an oil painting hanging in your hall. 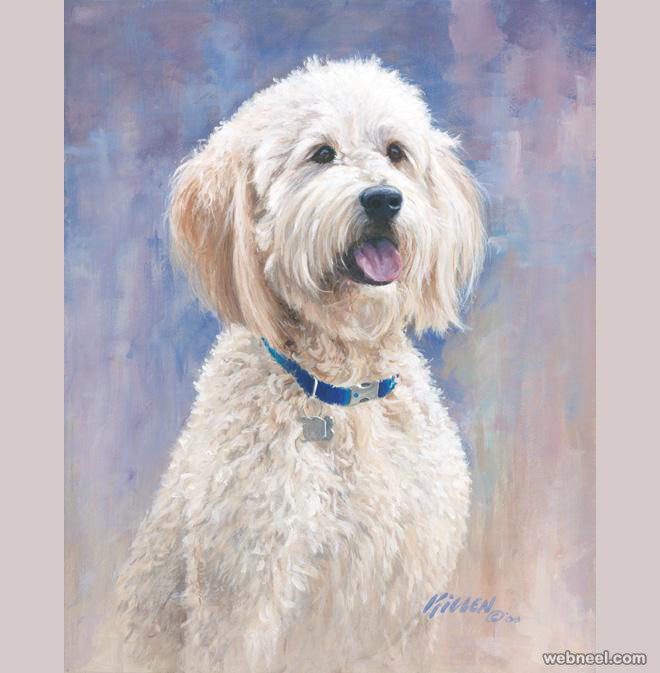 If you don't have a pet yet, why not frame one of these beautiful dog painting and hang them in your favourite spot. 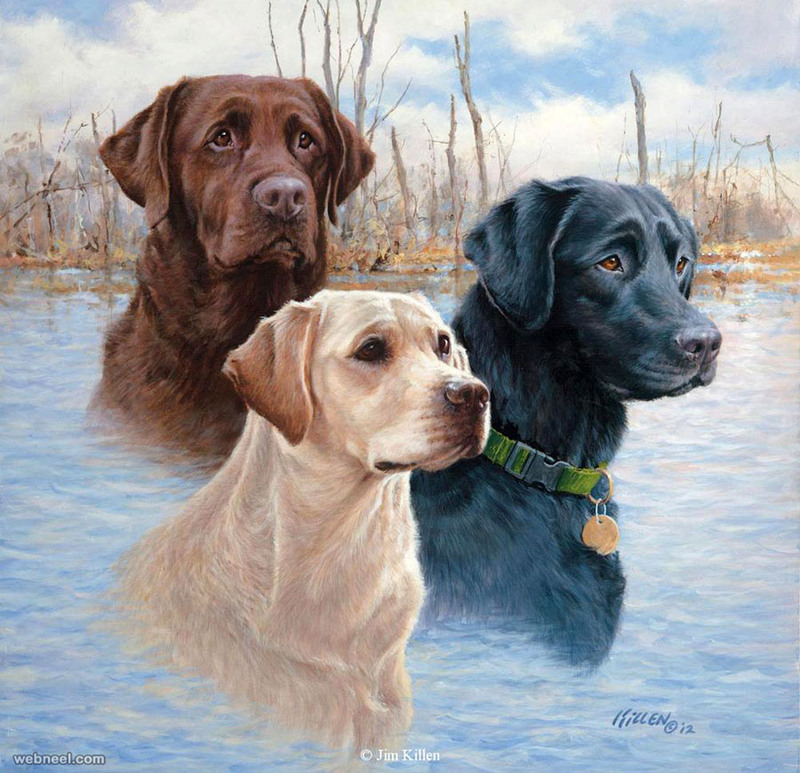 It's extremely difficult to make these wonderful dogs to stand still for hours together for an artist to put him/her on canvas. 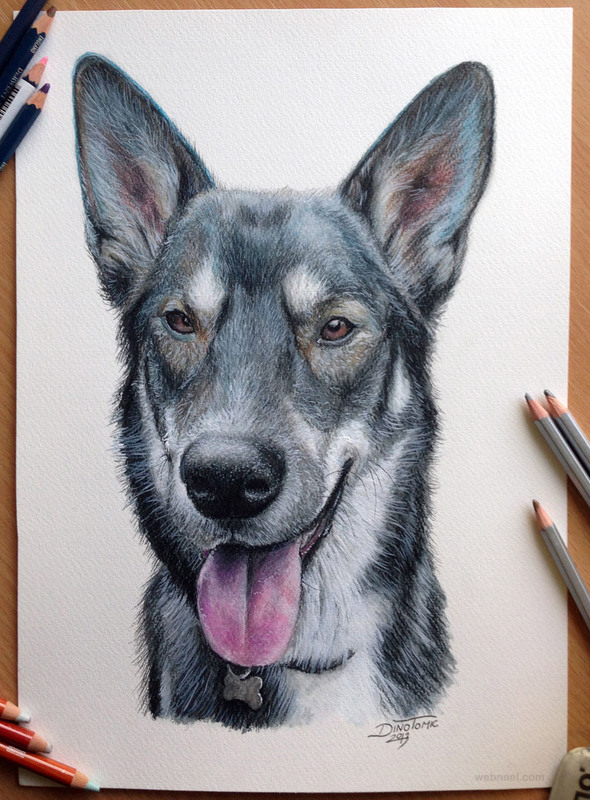 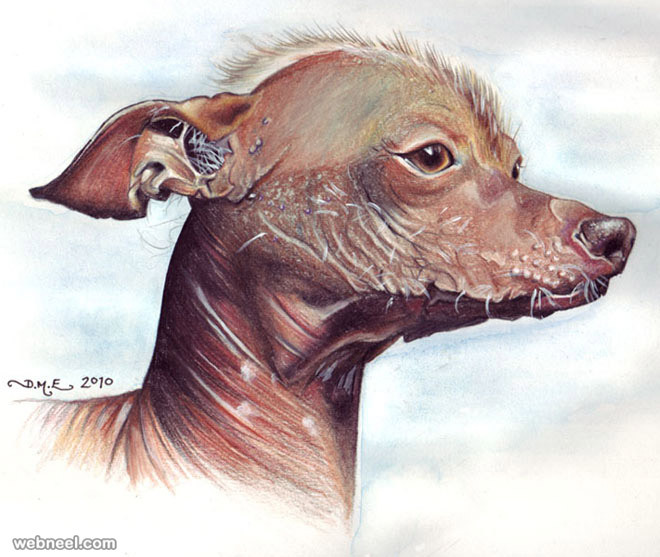 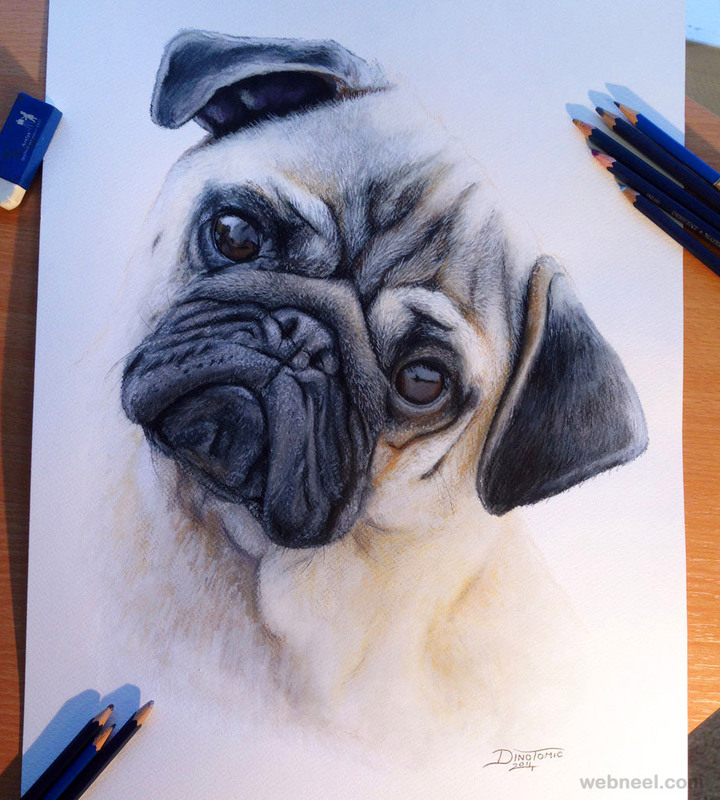 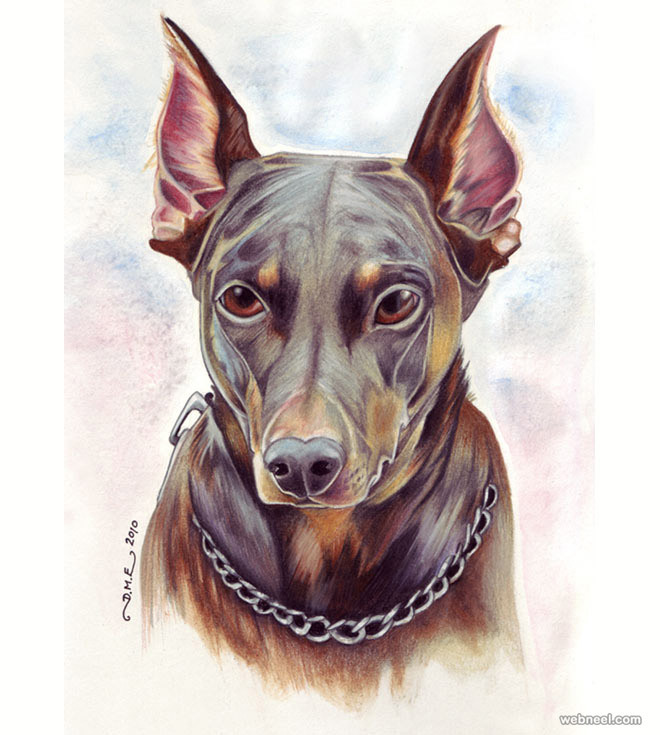 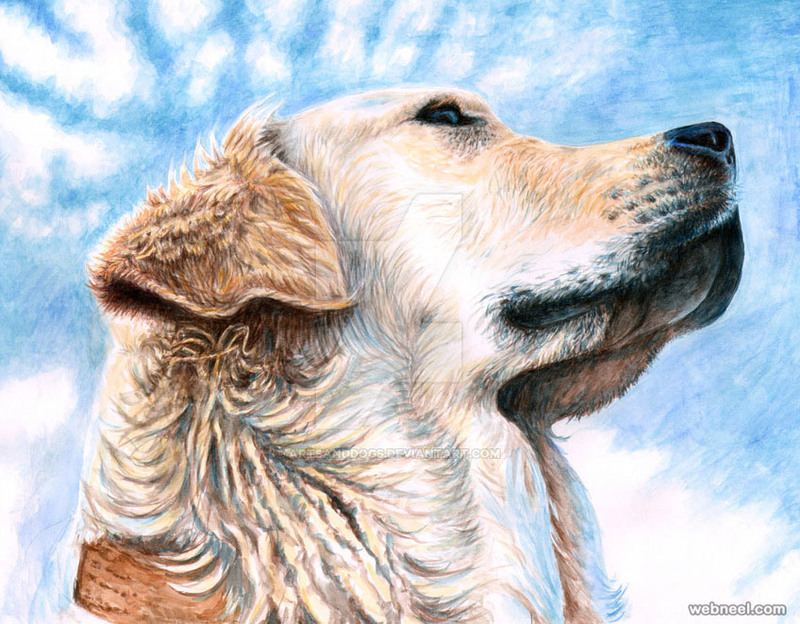 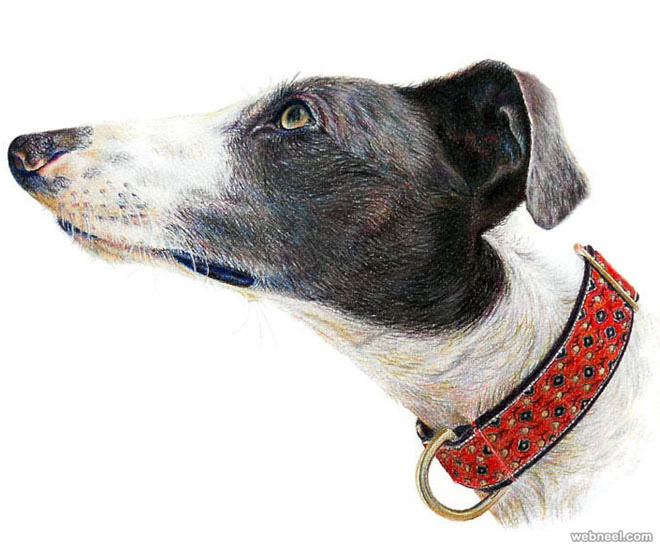 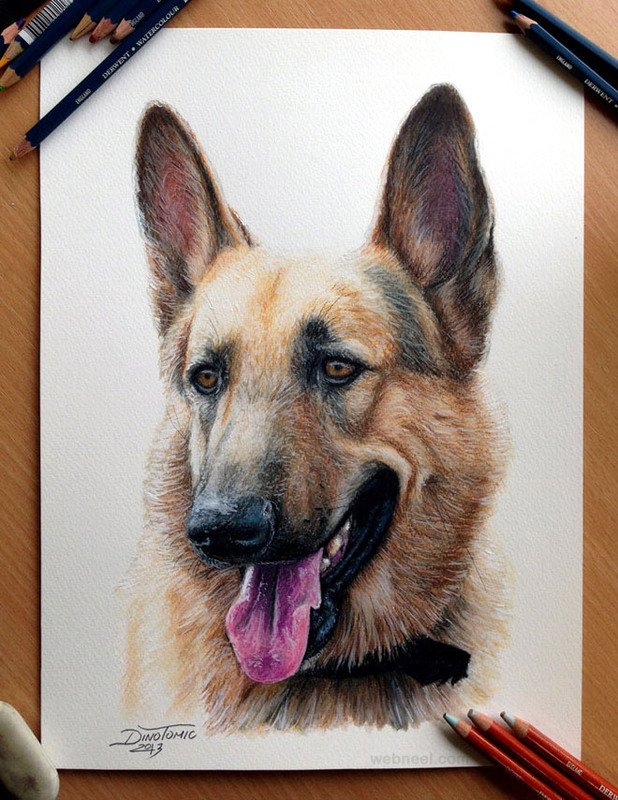 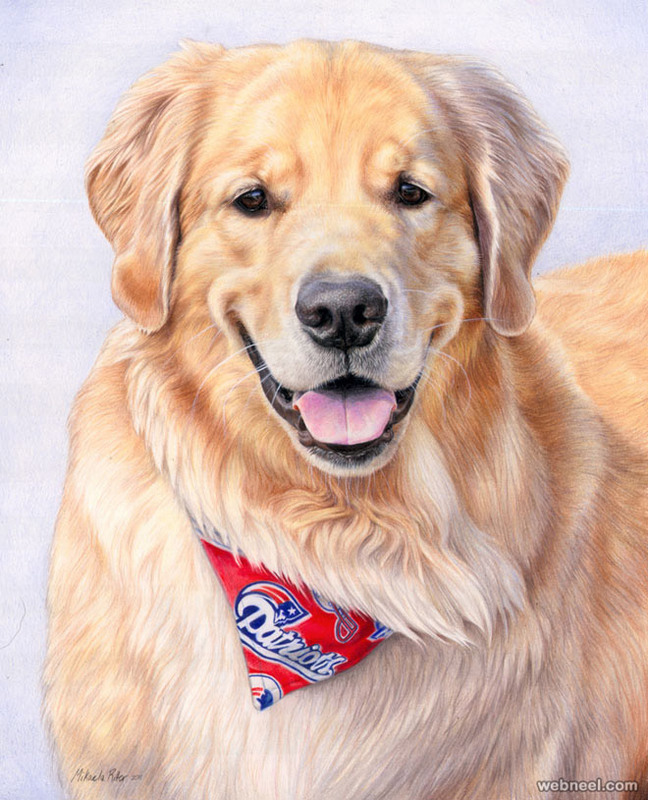 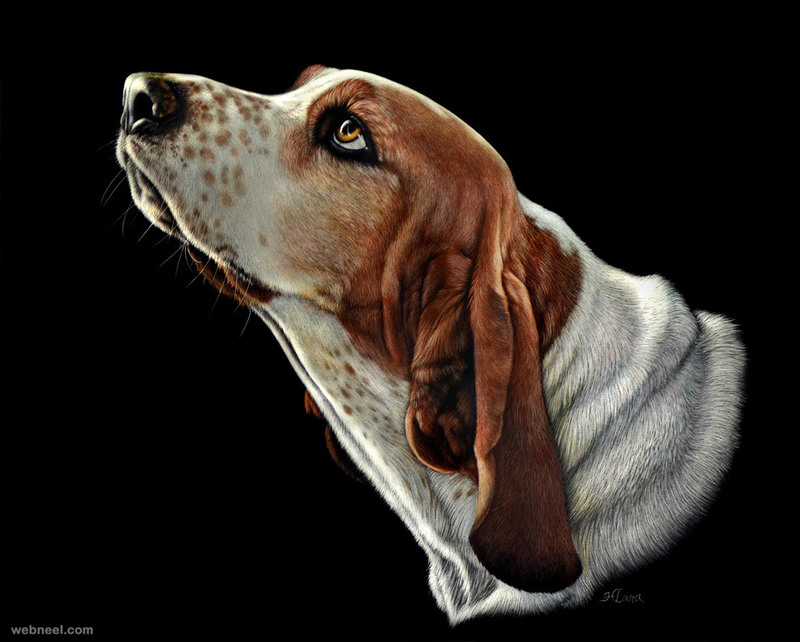 But these artists have done some excellent work using their graphite pencils, pen and ink, inked brushes, wax color pencils and oil / watercolor/ acrylic to create these wonderful dog artworks. 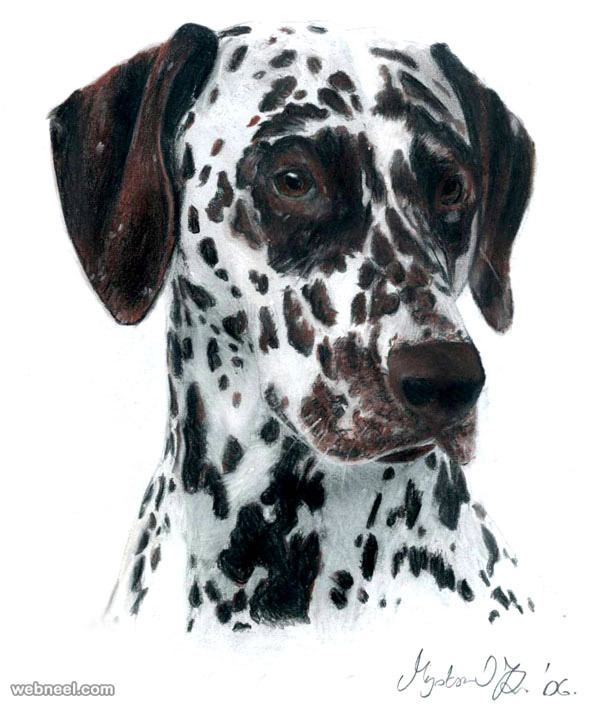 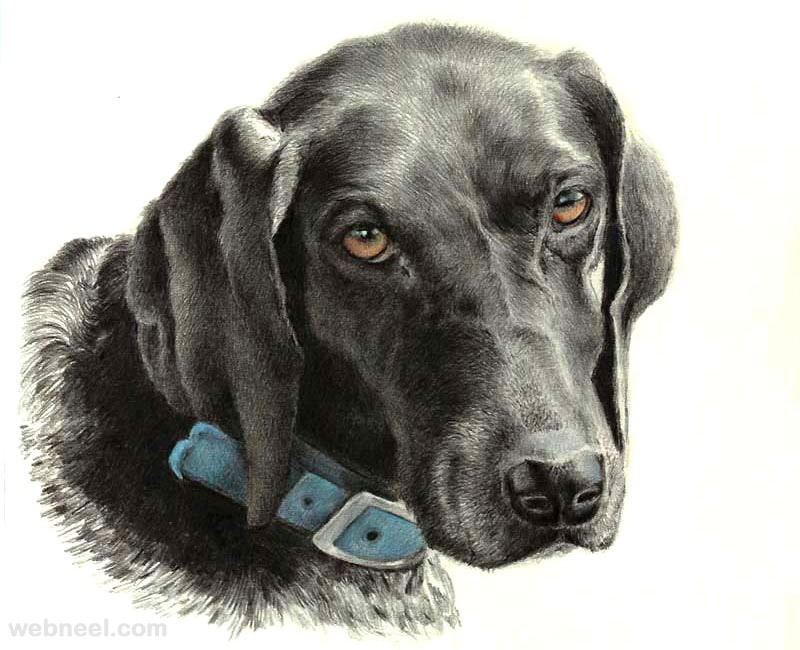 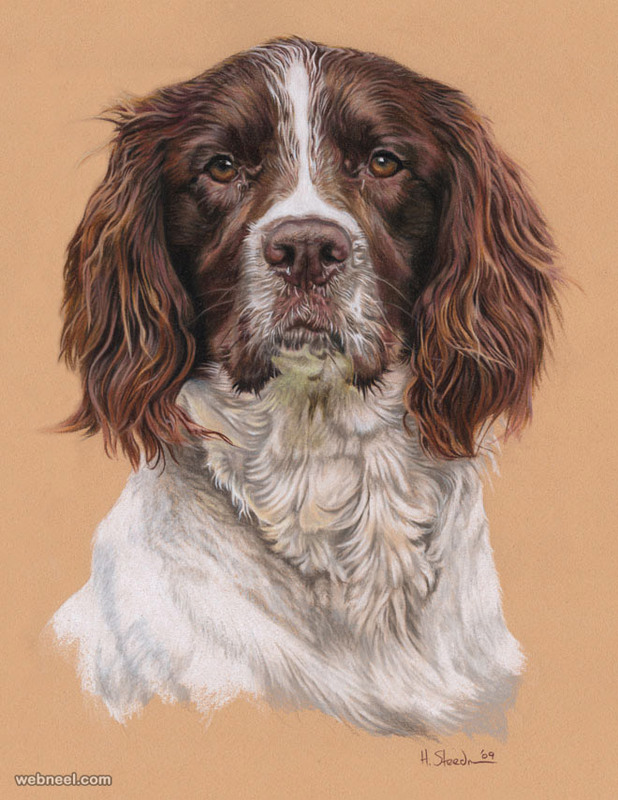 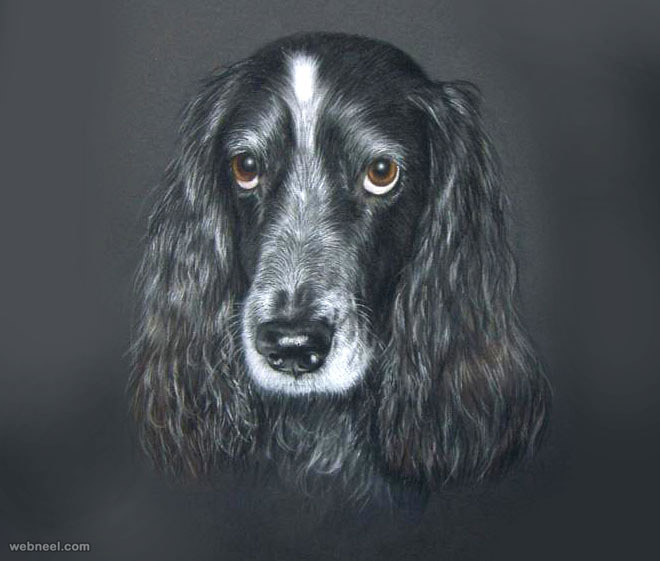 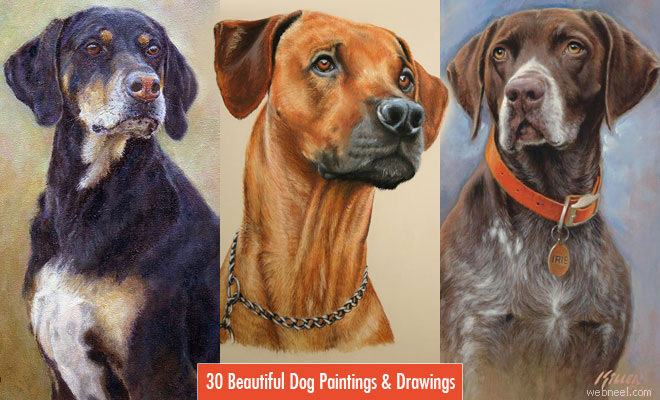 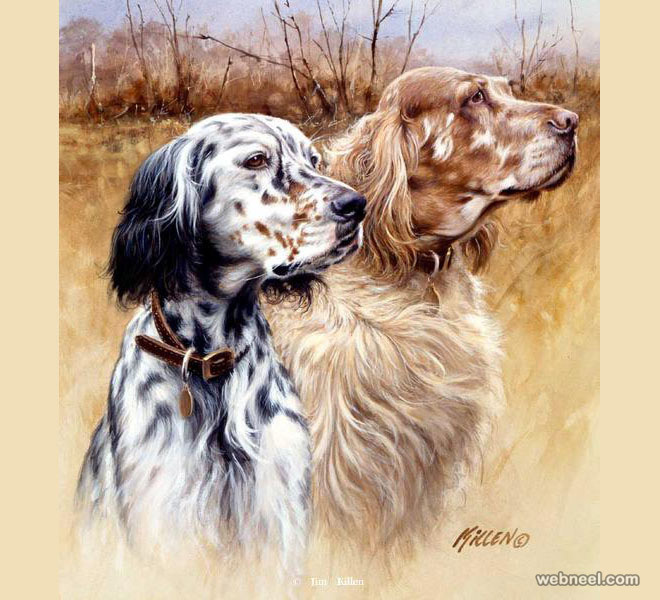 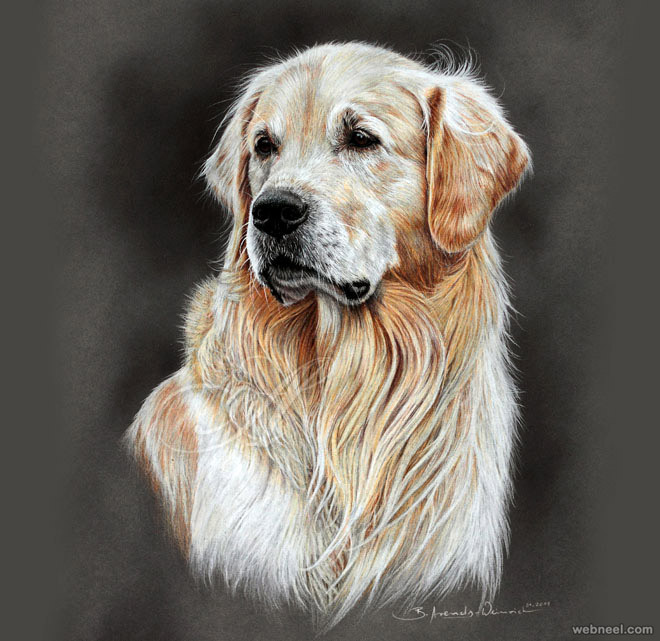 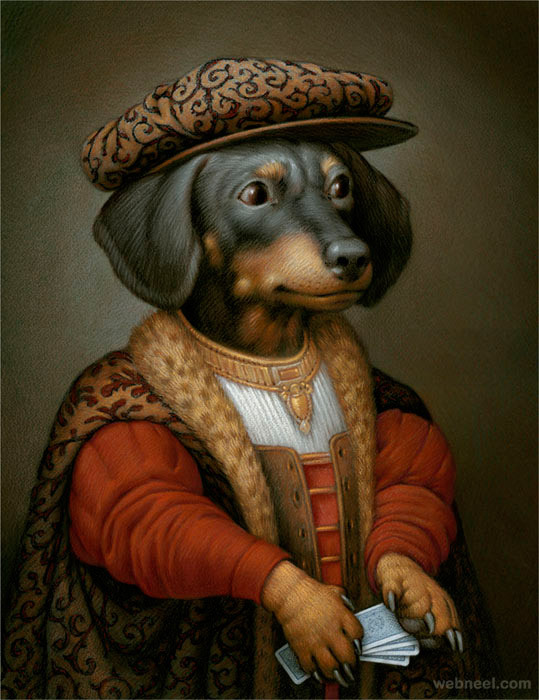 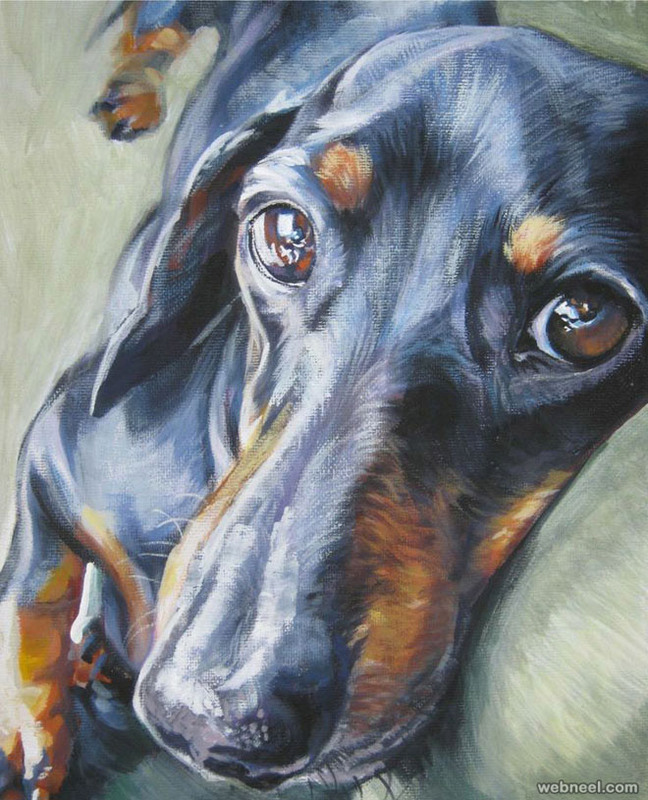 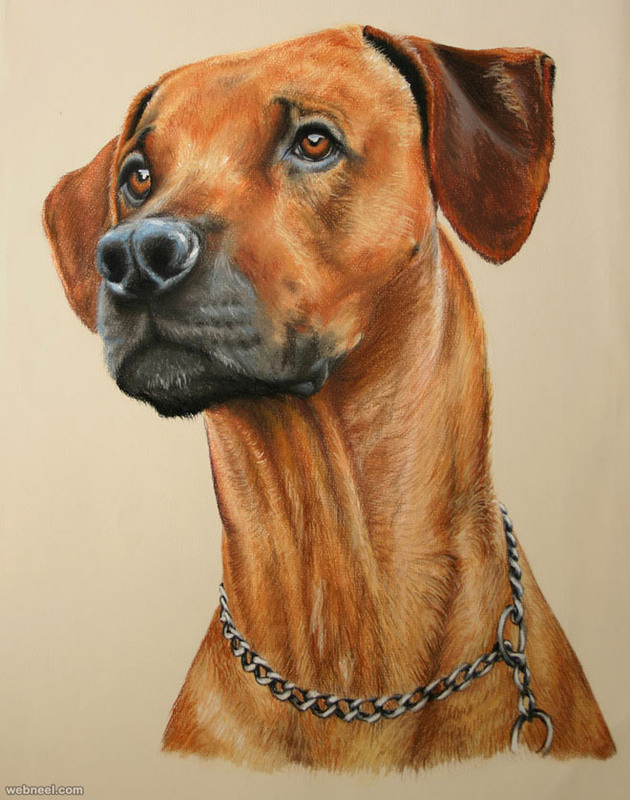 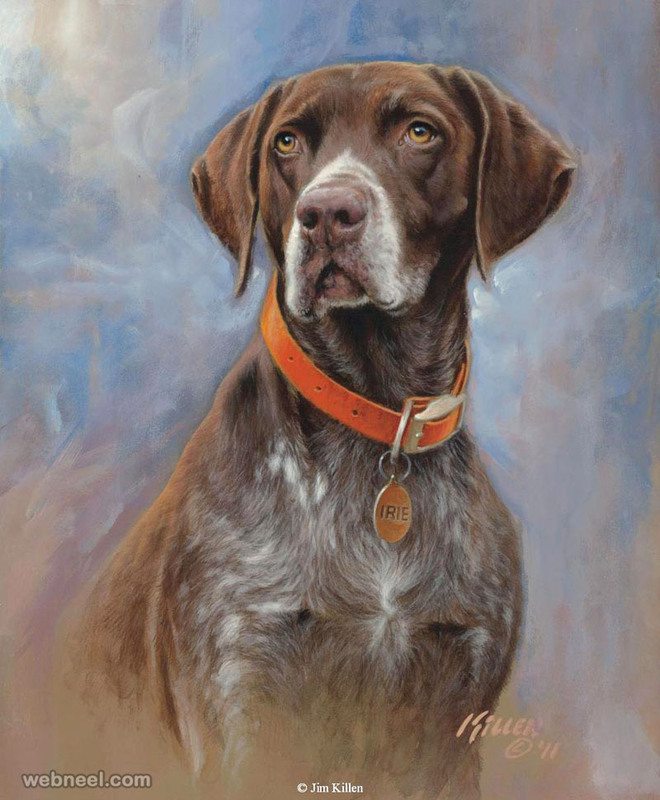 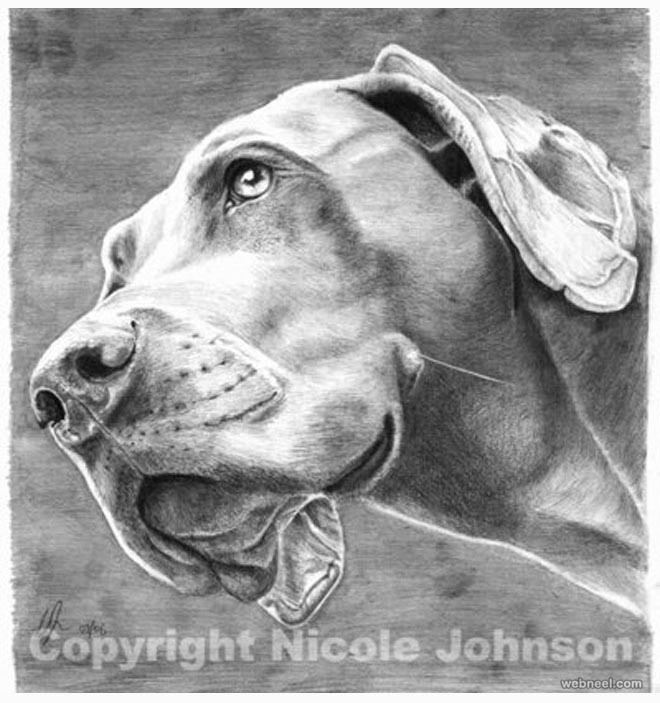 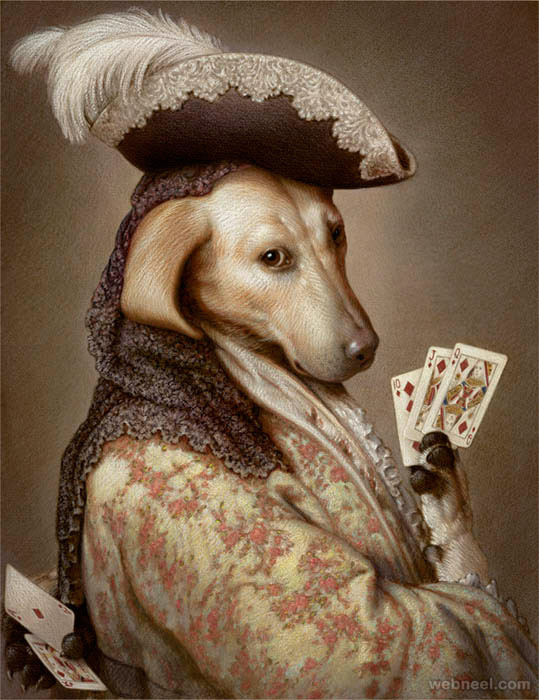 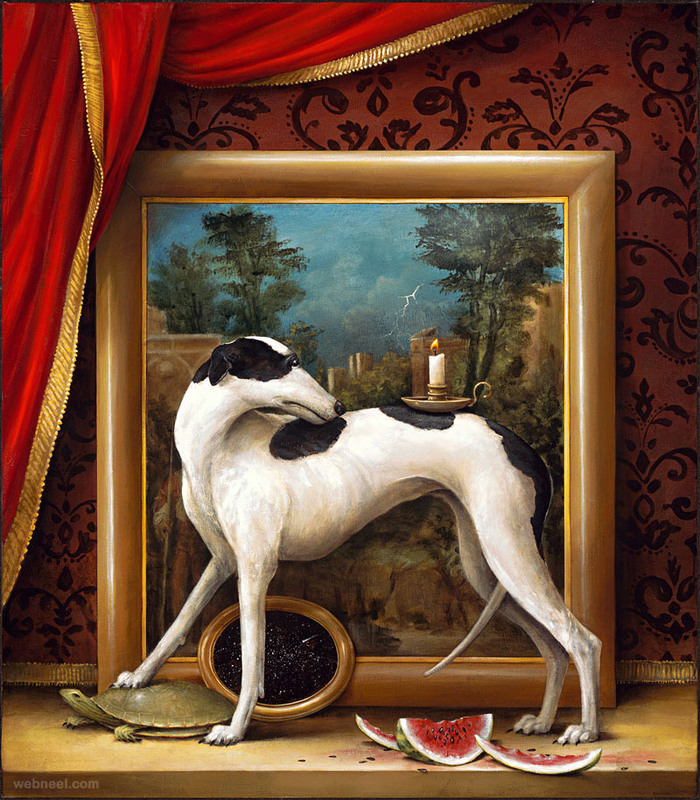 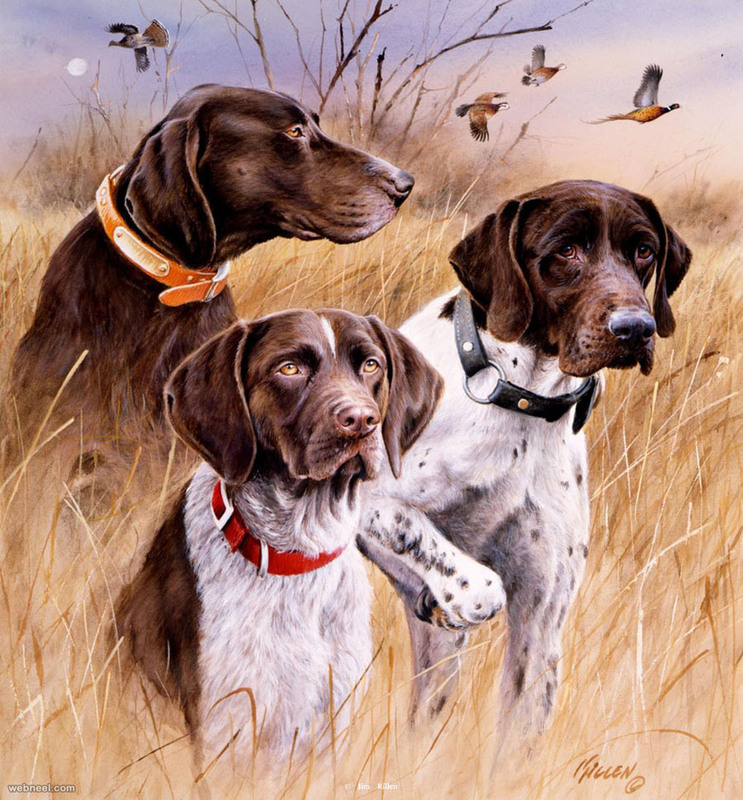 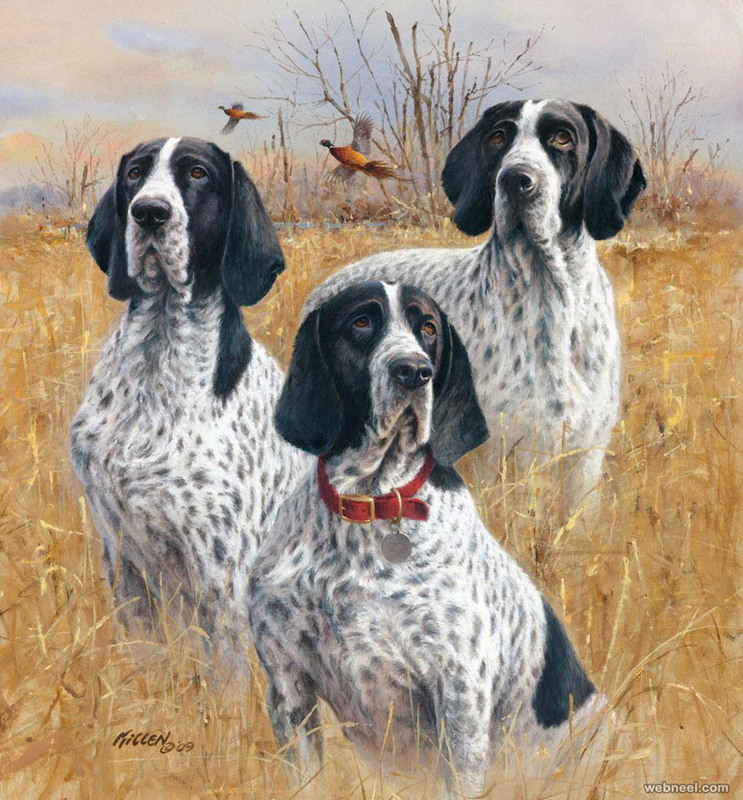 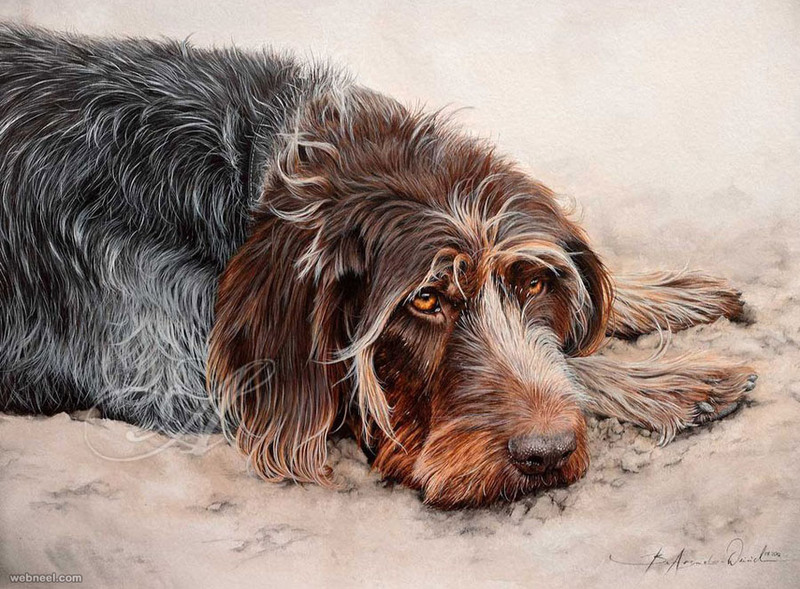 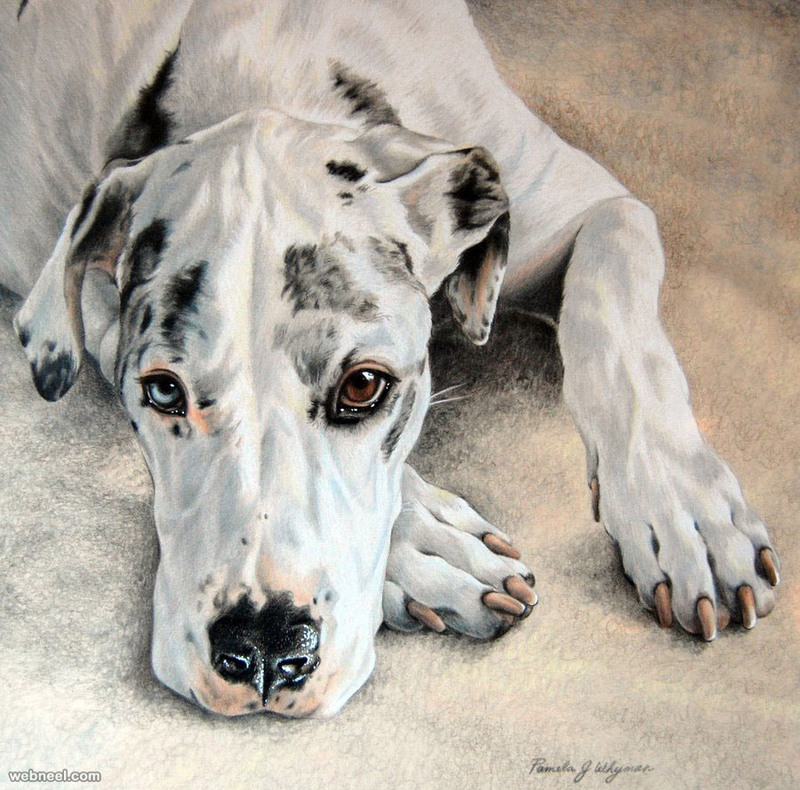 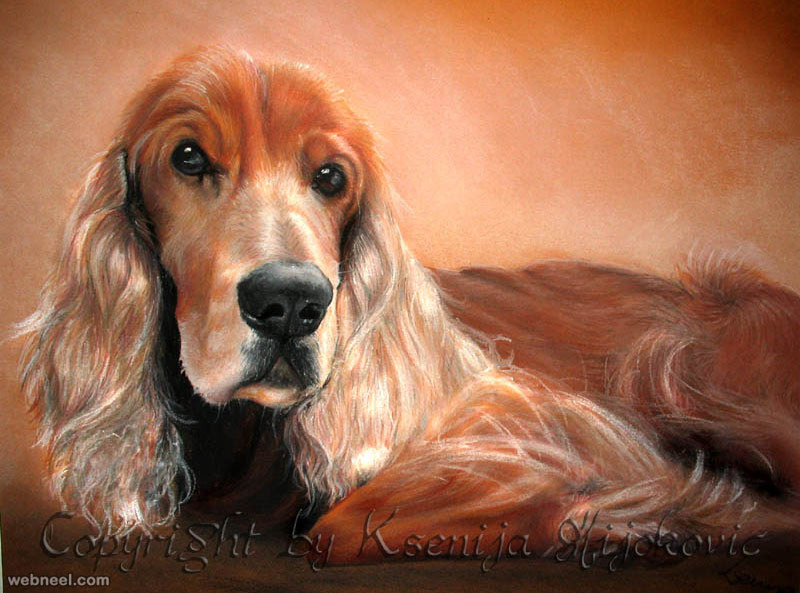 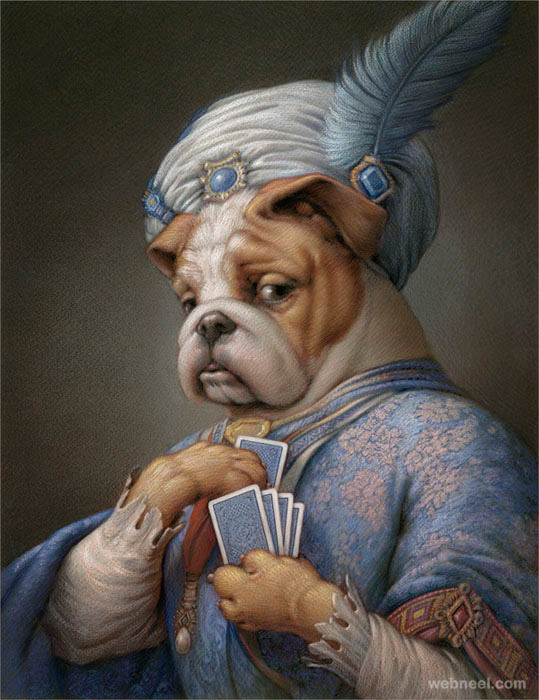 In this post we have included 30 Beautiful Dog Paintings and drawings for your Inspiration.